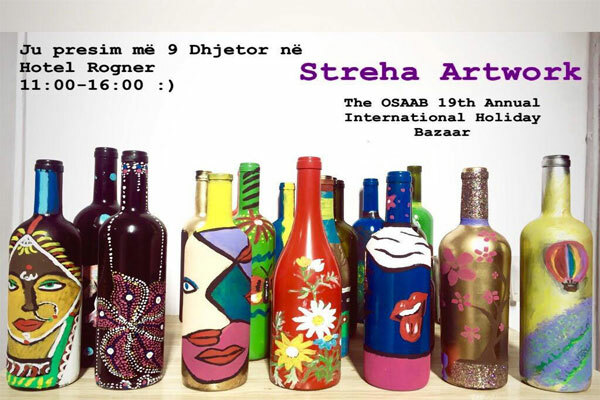 Friends and supporters do not miss the Sunday, December 9, 2018 at Rogner Hotel Tirana to buy Streha's work! Artistic works from the LGBT community will be part of the celebration day at OSAAB, the 19th International Holiday Bazaar! The Streha Center welcomes you and your friends to financially support. The proceeds will go to the New Year's Eve of homeless youths because of sexual orientation and gender identity!